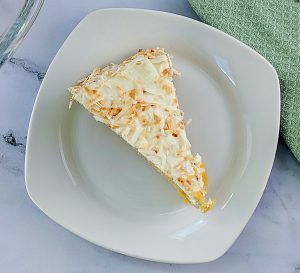 This Coconut Layer Cake is the perfect keto dessert for any occasion, full of buttery rich deliciousness without any of the sugar making this a fantastic gluten free keto friendly alternative to traditional cake. You Can Have Your Cake and Eat It Too!! 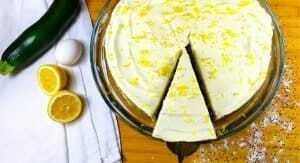 If you follow this Keto blog you will see that I LOVE Lemon Flavored Desserts and this low carb Olive Oil Cake is ant the top of that list! All the Thriller and None of the Filler!! 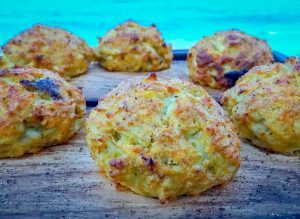 I feel that as a born and raised Marylander I am qualified to throw my hat in the ring of best Crab Cake Recipes. This Low Carb version doesn't have any of those unnecessary bread crumbs or crackers used to "bind" you crab cake together. instead I just add more of what we all want...MORE CRAB MEAT!